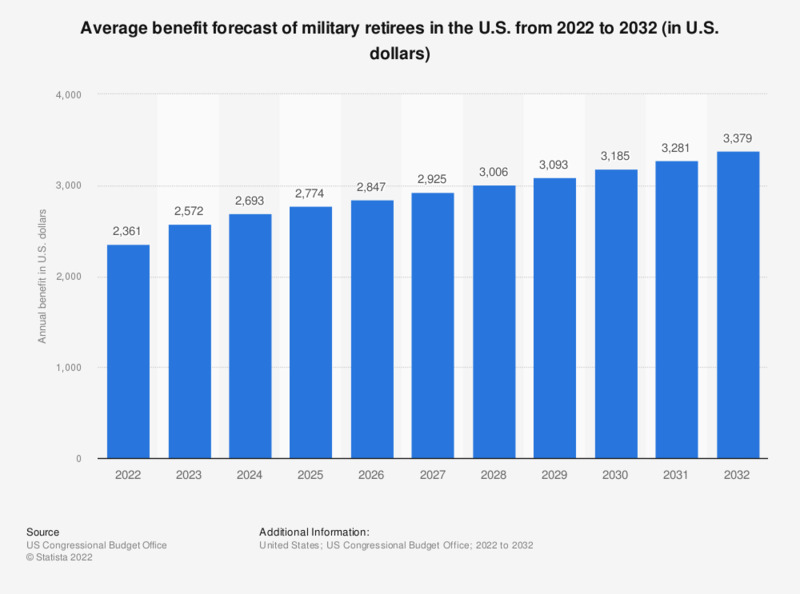 This statistic shows the average benefit forecast of military retirees in the United States from 2018 to 2028. As of 2018, the average benefit forecast of U.S. military retirees was 25,438 U.S. dollars. Data are in U.S. Government fiscal years.